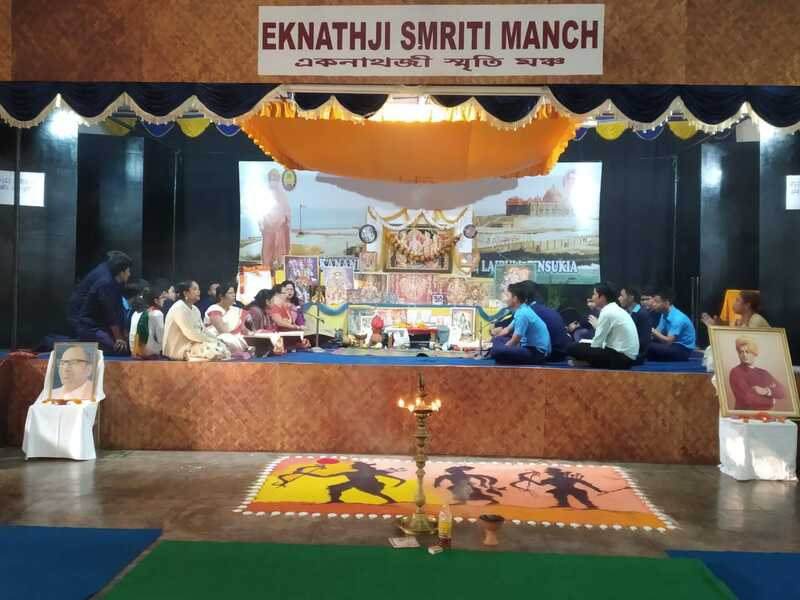 Sadhana Divas was observed on 19 November 2018, with recitation of Akhanda Ram Charit Manas Path by tte students from 18 Nov morning to 19 November morning. 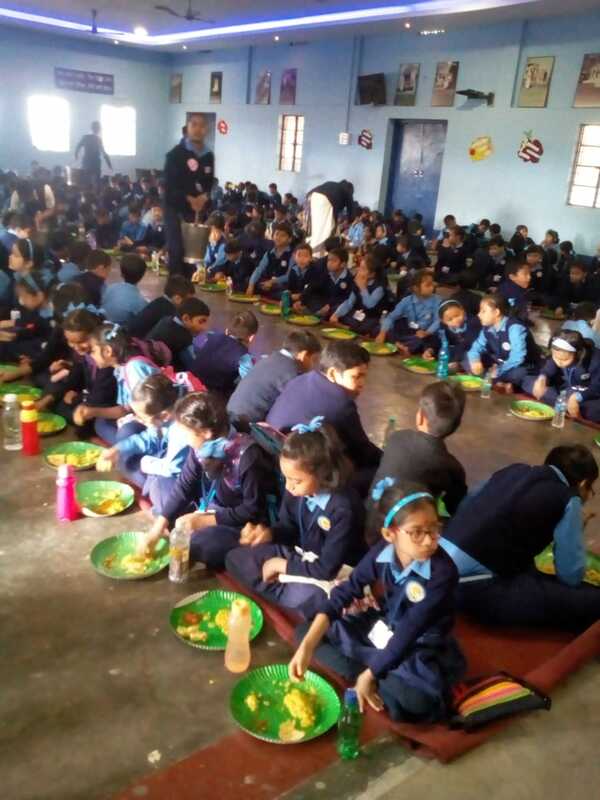 A community Lunch wax organised by tradiontof the Vidyalaya where 2300 parents, well-wishers and students were present. 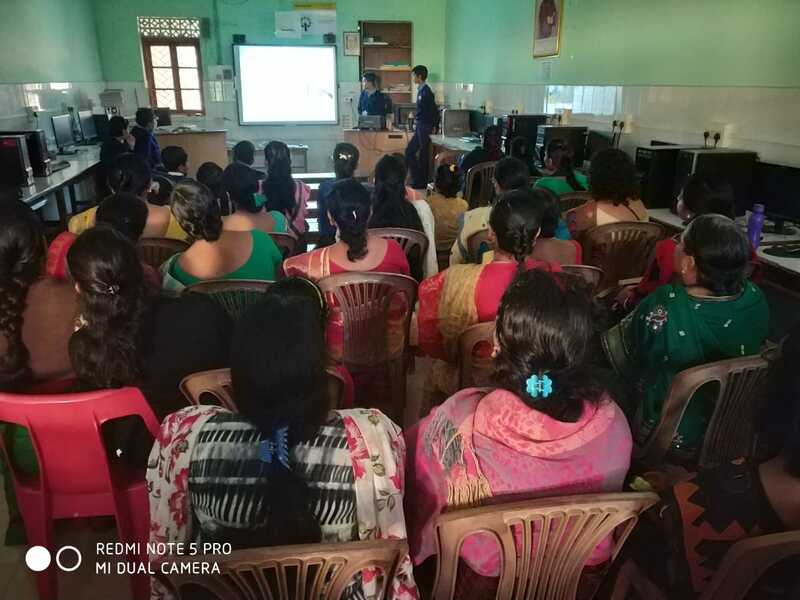 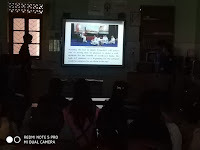 In this connection 35 parents and VK town committee members were present in a powerpoint show presented by our Sr. Sec. 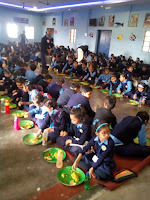 Students on Man. 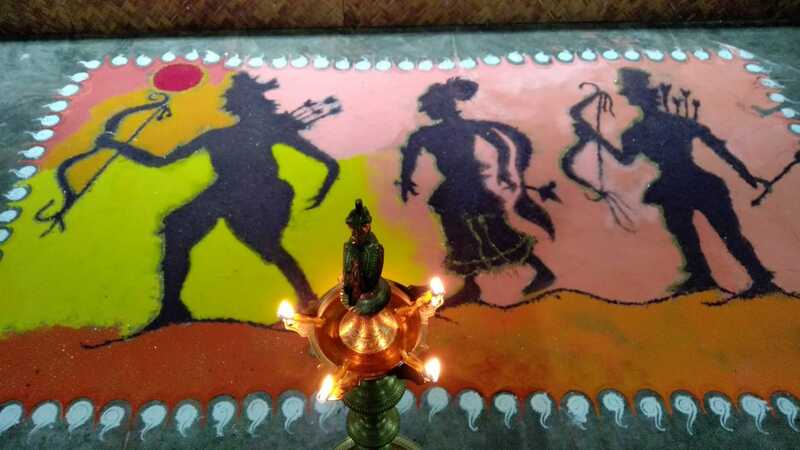 EknathJi.